The concept of “Just Price” goes back to medieval scholastic economic thinking, which was dominant for 500 years. To ensure that the price is just, authorities had to determine if the merchant was exploiting other people’s misery by charging excessive price and inducing dearth (caristia inducatur). One should make profits by serving others, not by abusing them. In 1987, Canada extended intellectual property protection for pharmaceuticals. In order to make sure that drug companies do not abuse these new privileges, the reform of the Patent Act also established the Patented Medicines Price Review Board (PMPRB), an independent quasi-judicial body whose role is to ensure that the price of patented drugs is not excessive. However, the PMPRB regulation is very generous for drug companies in order to better attract investment. The price in Canada must not be higher than the median of a basket of seven countries, which include the world’s four most expensive countries. Photo: https://www.flickr.com/photos/59937401@N07/6127242068, Image Description: Capsules pouring out of a pill bottle on dollar bills. In Canada, we pay on average 25% more on the price of patented drugs as compared to the median of Organisation for Economic Co-operation and Development (OECD) countries in the hope to attract investment in research and development. Canadians willfully accept to pay an additional $3.6 billion every year for patented drugs. The total economic impact of the patented drug industry in Canada (payroll and investment) is $3 billion. Let this sink in: Canada gives away an additional $3.6 billion to support an industry whose total economic contribution is $3 billion. There is no reason to allow such inflated prices, especially considering that Canada is one of the OECD countries with the highest rate of people not filling a prescription for financial reasons. PMPRB is also regulating only the official price of drugs. Twenty years ago the price of drugs was transparent (like the price of gas at the gas station). However, the game has changed and the market for pharmaceuticals is now submerged with confidential agreements. Official drug prices are now like the prices at a car dealership, and the final price depends on your bargaining capacity. PMPRB does not have access to these opaque confidential rebates. Let this sink in: our watchdog for drug prices does not know the real price of drugs. Since 2016, PMPRB entered into a long-awaited reform process to modernize its regulations. All the reforms on the table made a lot of sense: provide PMPRB access to real drug prices; change the basket of comparator countries to better reflect the Canadian reality; include new criteria for excessive pricing like budget impact and value for money. However, the process has stalled, and it is now the eleventh hour before the reform dies on the order paper. 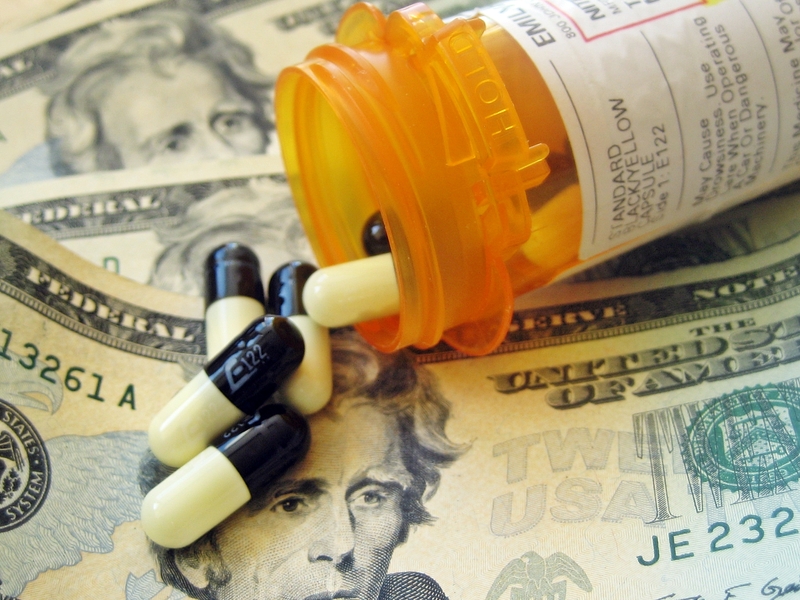 Drug companies and patient groups financed by drug companies are opposing the reforms. Their argument is simple: if drug companies make less profit, patients will have access to less new drugs. However, the argument is flawed. Predatory pricing provides incentives for drug companies to shift their business models towards therapeutically insignificant drugs at astronomical prices. Currently 83% of new (and expensive) patented drugs marketed in Canada do not provide additional therapeutic value as compared to what already exists. PMPRB reforms would focus on value for money and budget impact, which would shift the incentives towards the production of therapeutic breakthroughs at affordable prices. But more profits mean more research and development, right? Well, the massive profits in the pharmaceutical sector have been used instead for industrial concentration through mergers and acquisitions, barring the way to new innovative companies. Share buy-backs are also at all time high. For example, the company Alexion ranks among the largest global 500 companies in terms of market value, and it has only a handful of products for ultra-rare diseases. Its success is based on making colossal profits by demanding astronomical prices or otherwise patients die. For example, its product Strensiq for a rare bone disease was discovered by academics in Montreal universities with public funding, and the product was developed by the start-up Enobia Pharma benefitting from important tax credits. Alexion acquired Enobia in 2012 and demands such a price for Strensiq that public and private plans refuse to reimburse the product for most Canadians (because the use of the drug depends on the weight of the patients, only newborn babies and toddlers have access to the drug). A drug discovered by Canadian public researchers was transformed into a profit-machine by becoming unaffordable for most Canadians who need it. Alexion’s CEO, Leonard Bell, became the most well paid pharmaceutical executive in 2014 with total compensation of $227 millions. For scholastic thinkers, Alexion would be a clear case of caristia inducatur: exploiting other people’s misery by inducing dearth. We need to modernize our PMPRB watchdog to achieve “just prices” and get rid of our irrational policies that serve corporate welfare to the detriment of patients. A version of this commentary was originally published in The Hill Times.